We’re thrilled to announce BrightWave ranked 11th in the Pacesetter’s Marketing/Marketing Automation category. 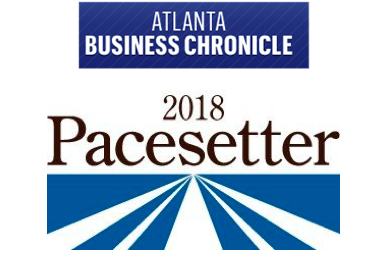 We also ranked 87th overall among this year’s elite group of fellow pacesetters including MessageGears, Parkmobile, QASymphony Inc., SalesLoft, Terminus and others. BrightWave CEO Simms Jenkins and VP of Client Services Laura Middleton attended the Annual Pacesetter Awards breakfast today at the Georgia Aquarium to celebrate this achievement. “We are honored to be selected for the Pacesetters Award once again. 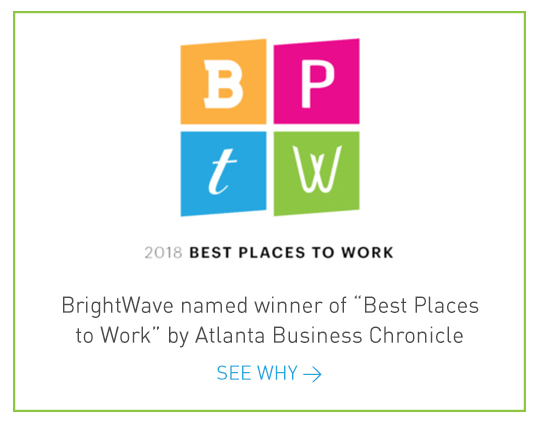 BrightWave is in elite company among the fastest growing private businesses in Atlanta,“ said Jenkins. With a huge year of growth in 2017 and a brand new Buckhead headquarters opening in just a few short weeks, our agency’s momentum is incredibly strong. As we continue moving into 2018, we’re excited to keep up this quick pace!